This looks like a children's book and the language is rather simple, but the story is great. 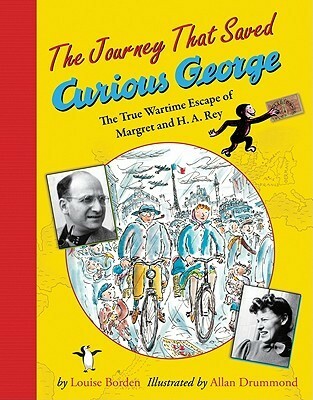 It's the story of the author and illutrator of Curious George, husband and wife, and their escape from Nazi-occupied Paris during WWII. I really enjoyed it! Sign into Goodreads to see if any of your friends have read The Journey That Saved Curious George.